The Employer Practices Related to Employment Outcomes among Individuals with Disabilities Rehabilitation Research and Training Center hosted a free webinar on May 30th at 3:00 pm EST. 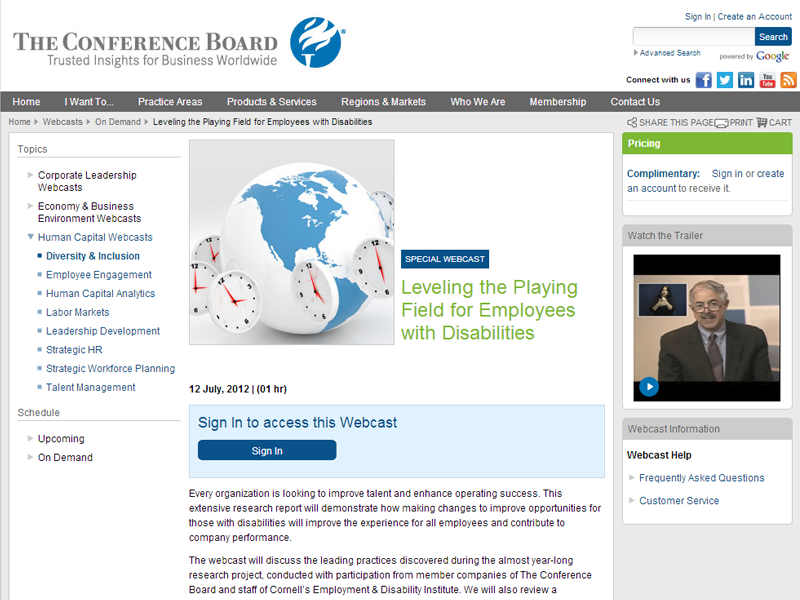 In the webinar, William Erickson demonstrated a new, innovative, web-based free resource designed to help researchers explore disability and compensation. Learn about characteristics of employment discrimination charges filed under the ADA The Employer Practices Related to Employment Outcomes among Individuals with Disabilities Rehabilitation Research and Training Center hosted a free webinar on May 29th at 3:00 pm EST. In the webinar, Sarah von Schrader, PhD presented on a new online tool that provides data tables and visualizations of ADA employment discrimination charges filed with the Equal Employment Opportunity Commission as well as state and local Fair Employment Practice Agencies. To watch a recording of the show, please visit the webcast page. Please note that you have to sign in to our website in order to view the on-demand recording. Signing up to view the webcast grants the individual a free account to complete access of the webcast recording library. Due to some technical difficulties, there is no sound for the first several minutes. Build best practices by learning what workers with disabilities shared about disclosure pros and cons. 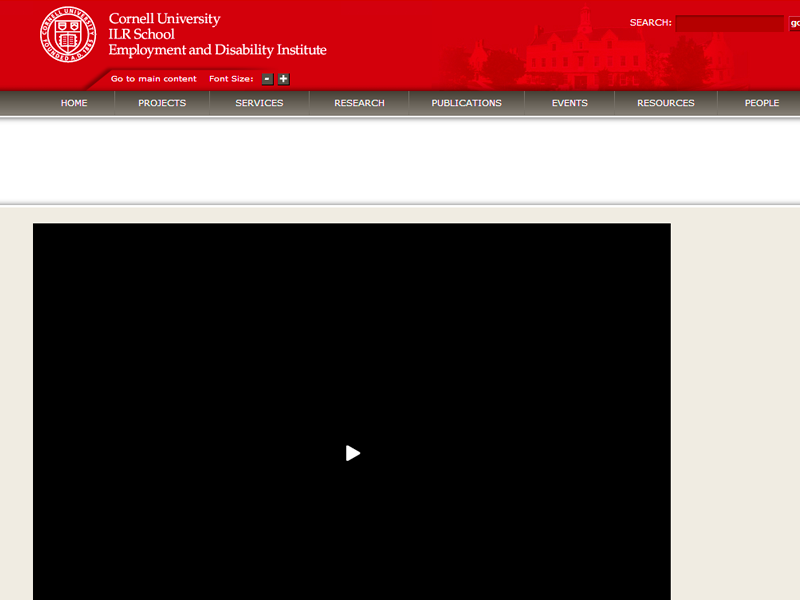 Results of a survey by the Cornell University ILR School and the American Association of People with Disabilities will be discussed by the researchers. 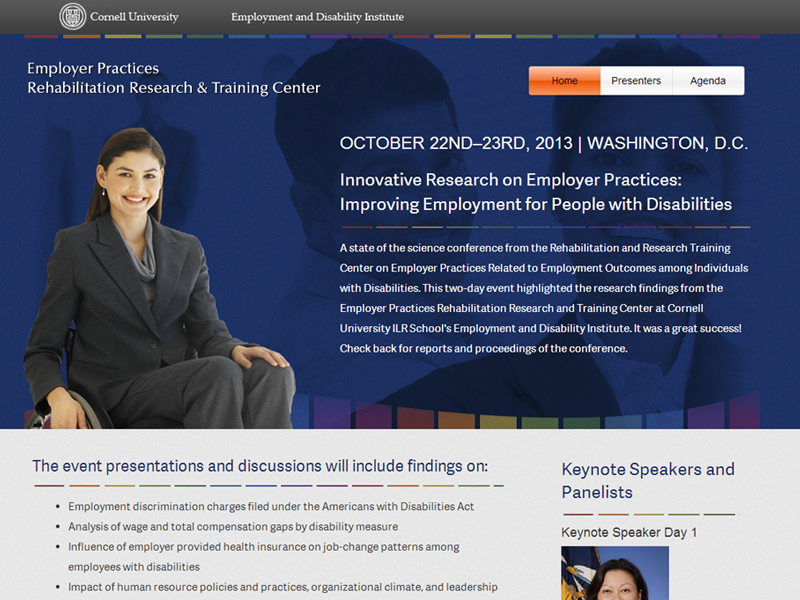 A state of the science conference from the Rehabilitation and Research Training Center on Employer Practices Related to Employment Outcomes among Individuals with Disabilities. This two-day event highlighted the research findings from the Employer Practices Rehabilitation Research and Training Center at Cornell University ILR School's Yang-Tan Institute. It was a great success! Check back for reports and proceedings of the conference.